Remarks: Records since May 1947. Earlier records are with County Recorder in county where license was issued. Records are legally confidential for 50 years. Personal check or money order should be made payable to Idaho Vital Statistics. To verify current fees, the telephone number is (208) 334-5988. This is a recorded message. 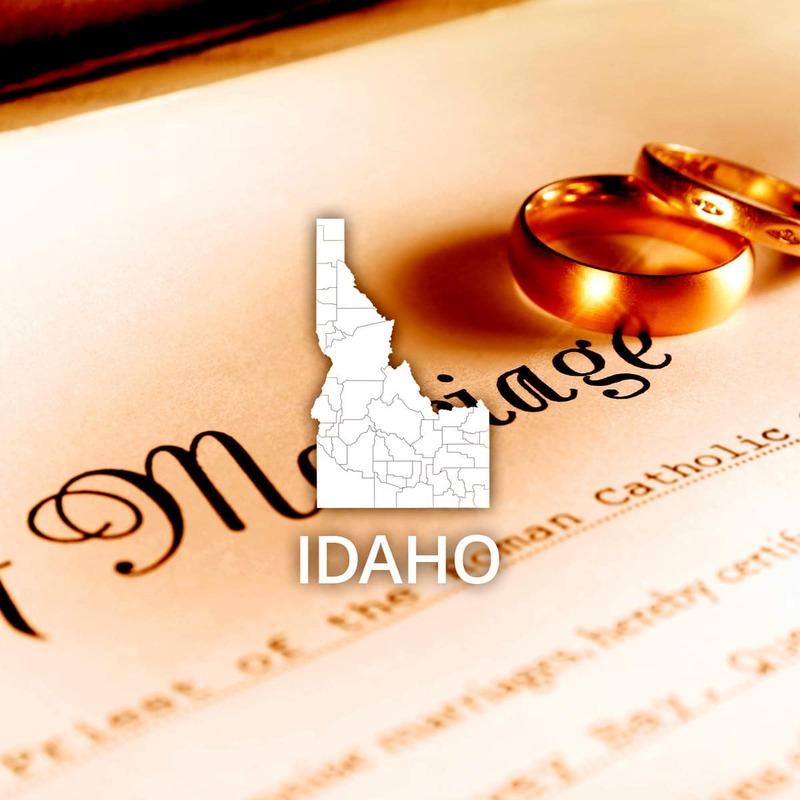 Information on how to obtain certified copies is also available via the Idaho Department of Health and Welfare website Applicants must provide a government-issued photo identification with signature. If this is not available, the applicant must provide a copy of two forms of identification with one having a signature. Event: Marriage (County) Cost of copy: Varies Address: See remarks Remarks: County Recorder in county where license was issued.